Building a super secret lair fit for a caped crusader may not be in the cards for you, but what about your books? 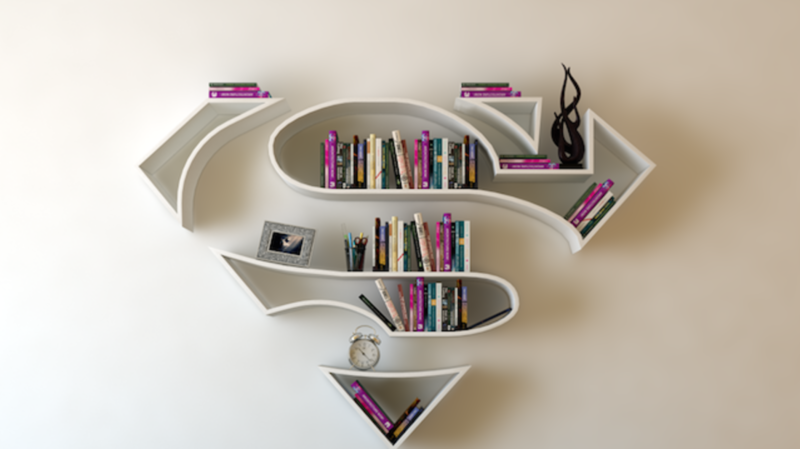 Industrial designer Burak Doğan found a way to please superhero-worshiping book-lovers by creating digital mockups of wall-mounted bookcases that are shaped like the logos of Superman, Wonder Woman, Captain America, and the Agents of S.H.I.E.L.D. The designs were created using 3D rendering software including Vray, Rhinoceros 5.0, and Autodesk 3ds Max, and were digitally installed into a real space to give context to the concepts. The designer also created side-view images and alternate paint schemes for the shelving units, which he shared on his Behance profile. Hopefully someone can bring these ideas to life in the near future. Take a look at his designs below.